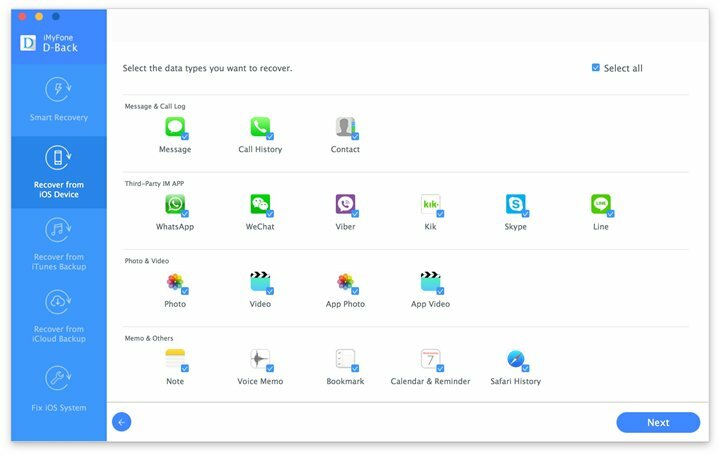 There are a few tools online that can help you extract lost WhatsApp data. This article outlines 5 of the best. 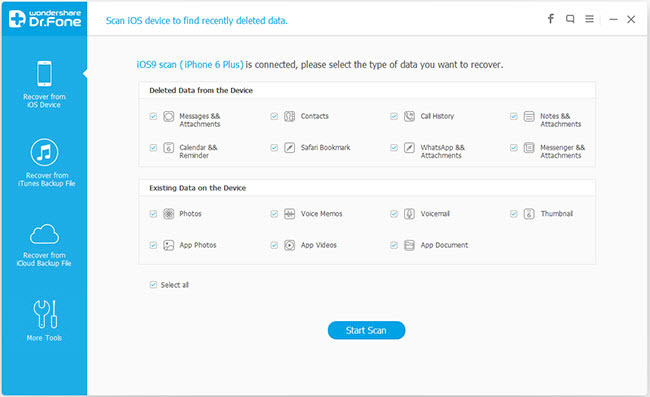 iMyfone D-Back iPhone data recovery or iPhone data recovery for Mac is a great software utility designed to extract all files that you may end up losing somehow from your phone. It doesn’t matter if you have made backups of your data or not. It does not matter whether the data was lost through virus corruption or through accidental deletion. 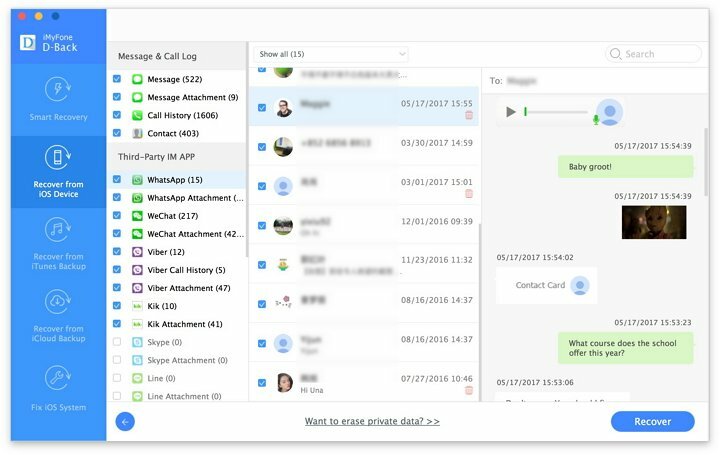 The software can easily extract WhatsApp data that exists or you may have lost in any unfortunate circumstances. The software can actually bring back more than 22 types of files which mean that it’s capable of recovering any data that you might lose from your phone. Supports 22 different types of data such as contacts, videos, photos, WhatsApp messages, Kik messages, Viber messages and more. It has a preview function that allows you to selectively extract the existing or lost files. It has a simple and extremely responsive user interface. It supports extracting data from iTunes backup or iCloud backup files. It is compatible with nearly all iOS devices. Takes some time in scanning for WhatsApp data. Just to demonstrate how easy it is to extract WhatsApp messages using iMyFone D-Back, here’s how to use this program. 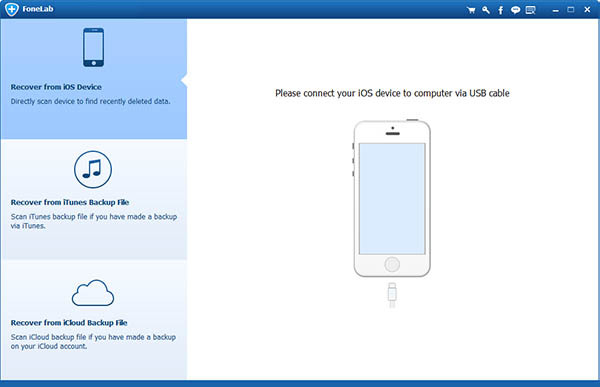 Step 1: From the main window of the program, select “Recover from iOS Device” and then click “Start” to begin. Step 4: When the scanning process is complete, select the WhatsApp messages you wish to extract from the results displayed and click “Recover” to choose a location to save the files. Aiseesoft FoneLab is a fine data recovery software utility which can run not only on iOS devices but is also compatible with Mac and Windows. The software has a simple data recovery mode called Phone Rescue which retrieves deleted or lost WhatsApp files. The software can also recover 18 other types of data files including messages, calls, notes etc. Capable of getting back data from both iCloud and iTunes. Offers recovery of 19 different types of data files. The price is very high and the trial version comes with the main features disabled. Takes too much time in scanning and extracting files. 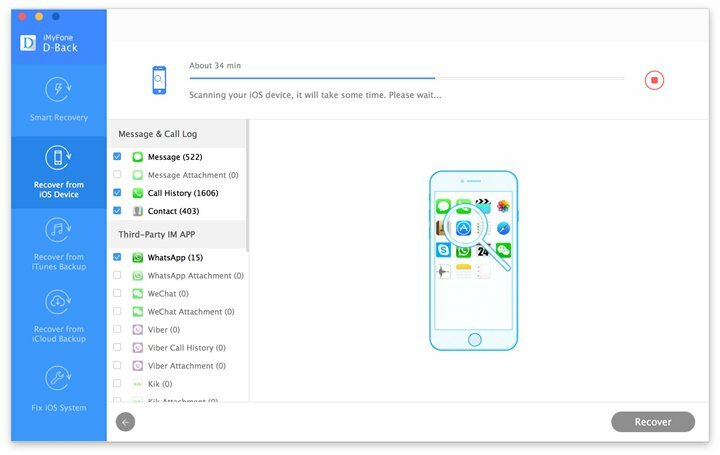 Wondershare Dr. Fone for iOS is a useful software utility which can retrieve and extract data that you might have lost accidentally or might have lost as a result of a software upgrade. Recovering WhatsApp files with the software is easy and once it is connected to your Windows or Mac, you can get the software started on finding lost WhatsApp files. 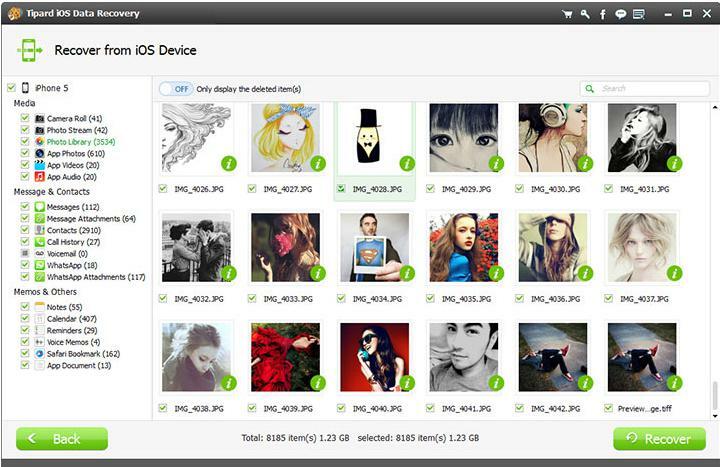 In addition to WhatsApp files, the software can recover data of more than 16 file types. Fast in recovering lost files. Capable of recovering data of all popular apps. The software’s preview function is poor and doesn’t let you preview all the files that it finds before extraction. It sometimes misses out on a few lost files. 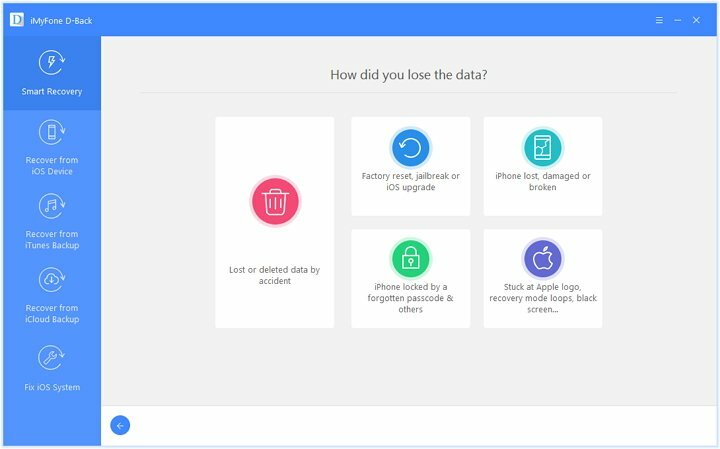 iMobie Phone Rescue offers data recovery and extraction from your iPhone in case you lose the data during software upgradation, factory resetting, data corruption etc. The software can recover each and every WhatsApp file that you had on your phone before you lost it and offers similar recovery function of twenty two other types of data files as well. Three simple and self-explanatory data recovery modes. Recovery of a total of twenty two data types possible. Lightweight software that doesn’t take much space. Very slow in not only scanning the phone but also in recovering the data back. The pro version is expensive. 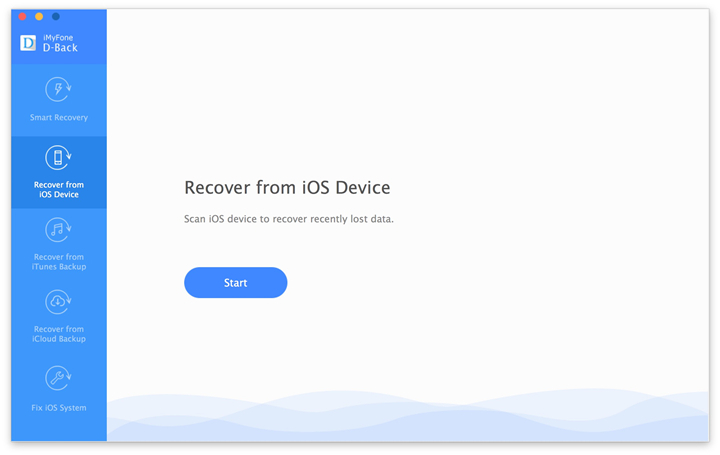 Tipard iOS Data recovery is another great iPhone WhatsApp Extractor which can work with all versions of Windows from Windows XP to Windows 10 and all versions of Mac OS X from 10.5 onwards. The software can recover 19 types of data files including all your WhatsApp conversations, audio files, video files and pictures. Extraction of nineteen file types possible. Works with almost all versions of iPhone, iPod and iPad. Extremely slow in processing and data extraction. Misses out on a few files that were lost during the data recovery. WhatsApp data extraction is possible with all of these iPhone WhatsApp extractors. 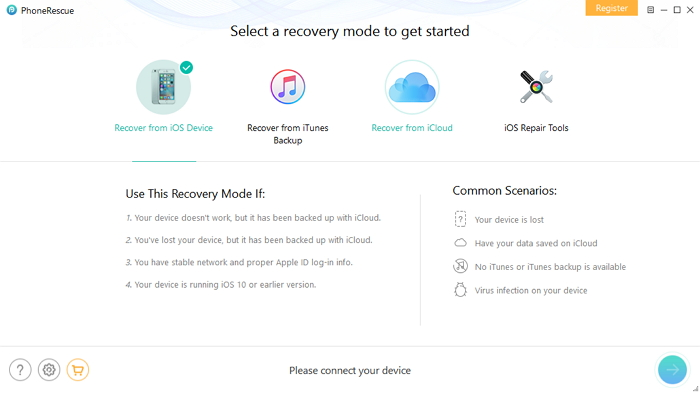 While all of them can do the trick, iMyfone D-Back iPhone data recovery or iPhone data recovery for Mac’s reliability and low pricing makes it the standout option.